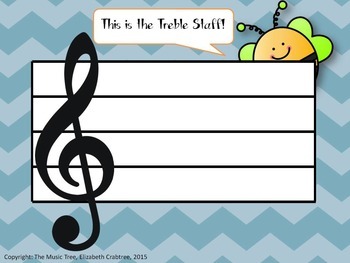 Your students will love this lesson reviewing the treble clef staff! 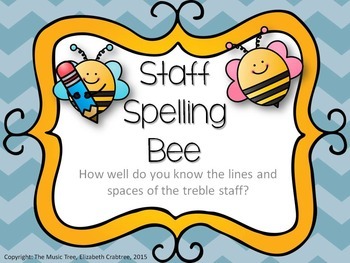 Use with younger students to practicing naming notes on the five lines and four spaces of the treble staff, or use with older students to review the staff before learning recorders. Students will draw, or move printable notes, on a staff to create words. Connect with other subjects through ELA! 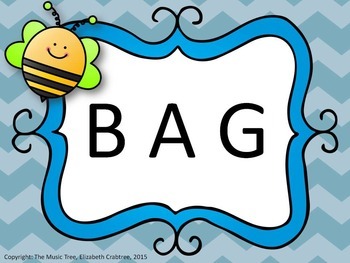 Printable worksheets will make a wonderful bulletin board! 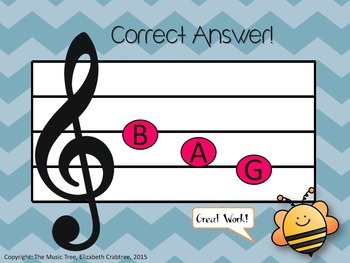 Cute clip art to engage all learners! Use game as a review lesson, group work, team relay, or individual practice. Zip file includes both a PPT and PDF version of the lesson, and PDF printable worksheets.